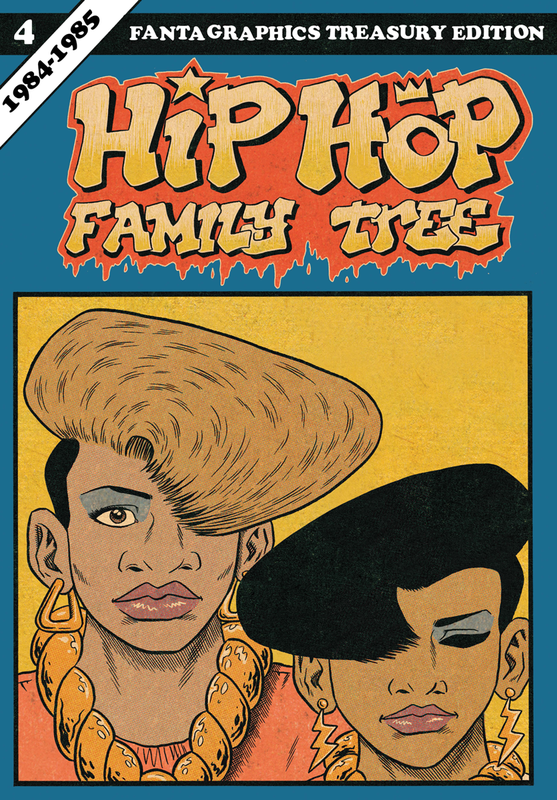 A huge fan of this series, I don't know how I managed to miss the 4th volume of Ed Piskor's Hip Hop Family Tree series. In any case, I've now had my hands on it and once again Piskor's added to my music collection. It's quite noticeable that the series has now slowed down to a volume per year. That makes sense considering that hip hop grew so much beyond its earlier days. There are more artists that Piskor must now report on. I was surprised at the early entries of a few stars, notably D.J. Jazzy Jeff and the Fresh Prince as well as Dr. Dre as I tend to think of them as coming onto the scene in the later 80s early 90s. Nonetheless, it was interesting to get some of their background stories. Conversely, I was also surprised that some of the old guard had still been hanging on in the mid 80s. Unfortunately because of the plethora of artists, I was looking for a bit more narrative like had been in the earlier volumes. Sometimes it felt like Piskor was just shouting out a name and song. Still, he manages to still tell enough stories to keep me intrigued. The story behind the "Roof is on Fire" was especially fascinating. The art, as always, is wonderful. This time around, Piskor also makes use of a photo here or there which was a nice way of keeping things new as well as serving as a reminder that these books are based on actual people and events. I'm also a fan of this series and always end up adding music to my list as I read through a new volume.